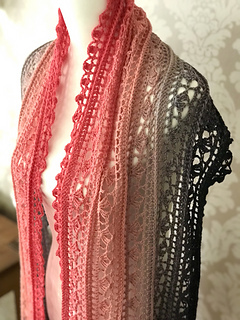 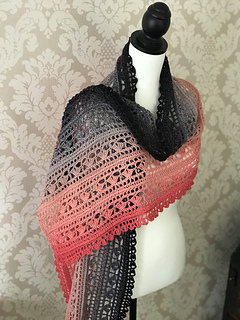 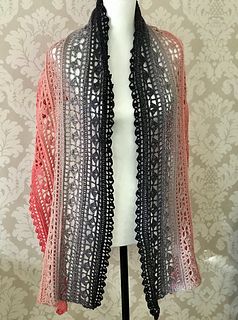 Shellscape is a rectangle shawl worked lengthways using one of my favourite shell patterns. 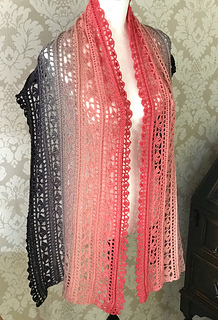 Cluster – tr 3 together in same stitch - yarn round hook twice, insert hook into stitch/space indicated, yrn round hook, pull loop through, yarn round hook, pull through 2 loops, yarn round hook, pull through 2 loops 3 times in same stitch/space, yarn round hook, pull through all 4 loops. 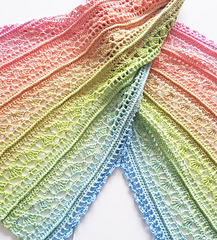 • Odd numbered rows are right side rows. 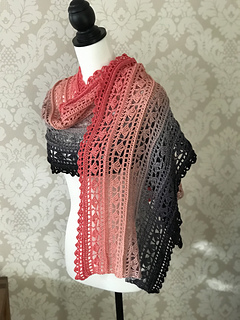 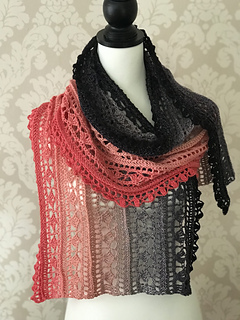 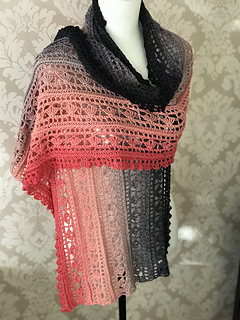 • This rectangle shawl is worked lengthways.